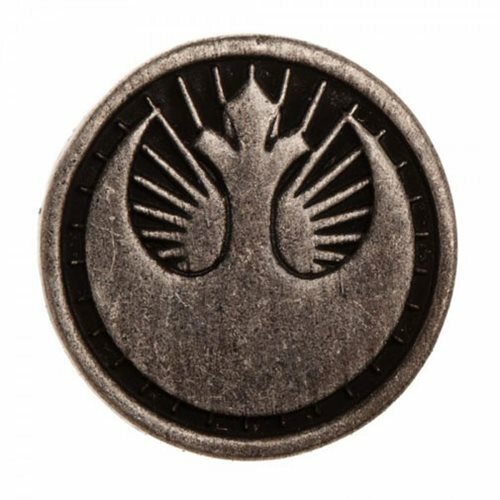 Stick it to the Empire's people with this Star Wars Rebel Lapel Pin. This pin features the logo of the Rebel Alliance in front of a shining star. If you're looking for a way to show your allegiance, this is perfect for you! Just be careful where you go.